The days of boxy SUV’s with bland interiors are no more with the modern design and sweeping lines of the all new 2017 Nissan X-Trail. Thanks to the nice folks from Nissan over at Massy Motors, we managed to get our hands on the fully loaded 2017 Nissan X-Trail 4×4 with all the bells and whistles and we were pleasantly impressed after taking it for a test drive. The leather wrapped steering was direct and precise, the chassis felt nimble and responsive while power delivery was smooth and predictable. The leather seats were comfortable and easily adjustable to any driving position. The all new 2017 Nissan X-Trail available from Massy Motors has come a long way from it’s boxy utilitarian shape, adopting a much smoother, sleeker modern design that is consistent with the new Nissan line-up. Despite the improved aesthetics, the all new Nissan X-trail still retains its capabilities and efficiency, but now adds innovative technology and a new level of refinement. The X-Trail is available in 4 trim levels, either 2WD or 4×4, 5 seater or 7 seater, fabric or leather. The new X-trail is slightly larger than the previous model, coming in just about 0.5” longer and 1” wider, adding more interior space while still retaining its original ground clearance of about eight inches. As you step into the fully loaded 2017 Nissan X-trail the interior is worlds apart from its predecessor, with chrome, carbon fibre and leather everywhere. 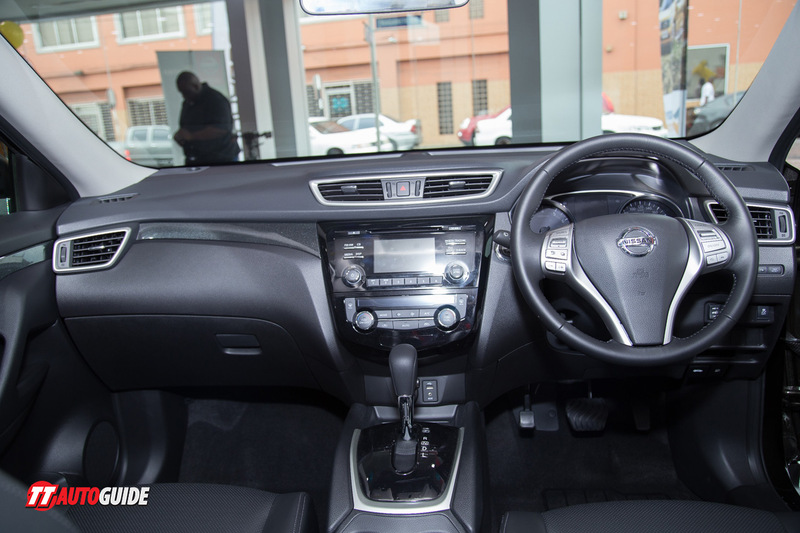 Our 4×4 5 seater was equipped with keyless entry, push button start, NissanConnect phone integration with steering wheel controls, powered leather seats in front and 40:20:40 leather seats in the back. A fully powered sunroof opens up to let in sunshine and fresh air when heading to the beach, along with a powered tailgate to make packing the cooler and chairs a breeze. Power is delivered by a fuel-efficient 2.0L engine which is mated to Nissan’s all new XTRONIC CVT continuously variable transmission. The MR20DE produces 139.36 hp (104 kW) at 5100 rpm and 193 N·m (142 lb·ft) at 4800 rpm which is more than enough power to move the X-Trail along effortlessly in all conditions we tested. The new model is 5 star safety rated and comes with front driver, passenger, side and curtain airbags to keep you and your loved ones safe. The all new X-Trail is a great improvement over the older model and comes in a range of trim levels and options that will meet most needs and budgets. 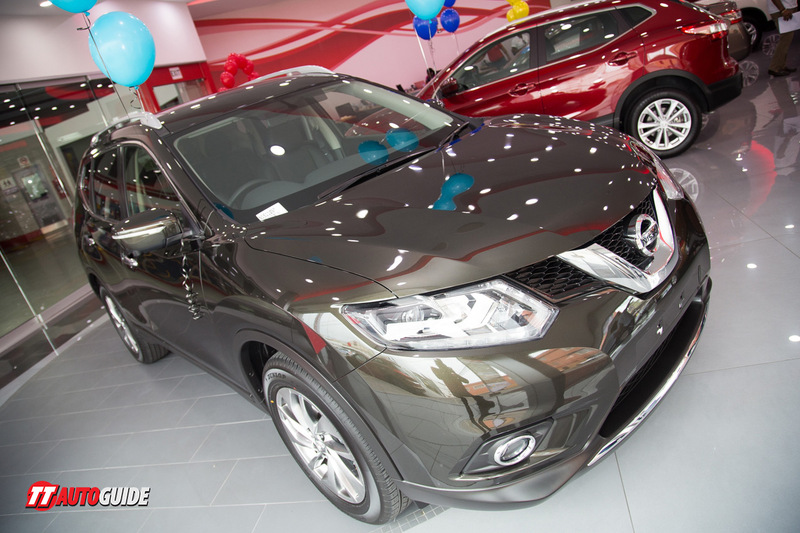 So, if you are in the market for a new SUV to get around town and have fun on the weekends, we suggest you head down to the Massy Motors Nissan showroom and take one for a test drive. This entry was posted in Latest news, News, Vehicle Reviews and tagged 2017, Massy Motors, Nissan, X-Trail.